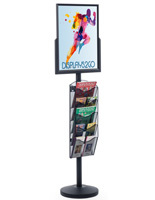 This professional flyer & poster stand features eight pockets (four on each side) that draw attention from two directions to your promotional leaflets! 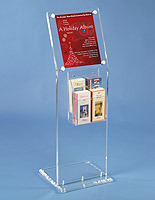 A large advertising sign anchors the presentation from above the tri-fold slots. 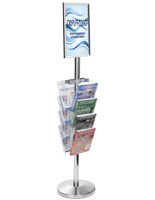 This professional flyer & poster stand, among our extensive line of literature racks, is an effective marketing tool when placed in a high-traffic lobby. 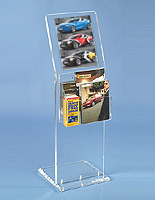 This acrylic holder provides a modern, airy presentation when all contents are visible! 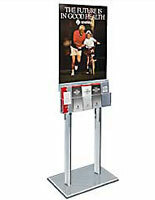 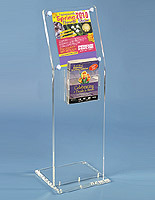 This flyer & poster stand for commercial use is floor mounted, giving publications prominence. 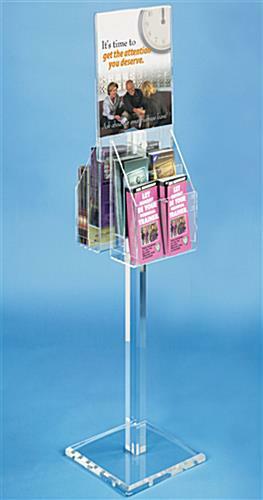 Each slot includes a peg divider for showcasing differently sized pamphlets or newsletters. 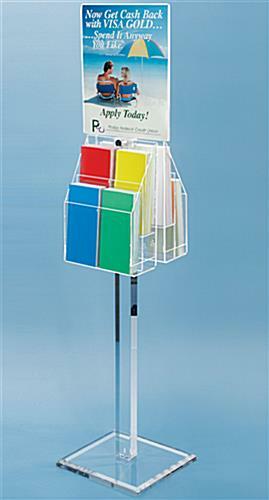 11.8" x 53.0" x 11.8"